If your garbage disposal is clogged or broken, we offer garbage disposal repair and replacement services for all types and brands of garbage disposals. We offer our experience and knowledge and will give you a plethora of options of garbage disposal products that fit your budget. 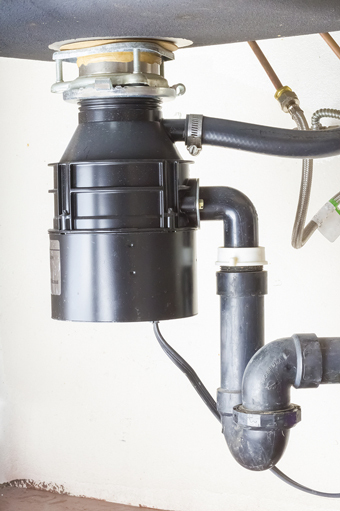 To request a quote for our garbage disposal repair or replacement services, please contact our plumbers today! Call Perry Aire Plumbing at 703-521-2228 for garbage disposal installation and repair services in Arlington Virginia, Washington DC and Maryland! Why should you call Perry Aire Plumbing for garbage disposal installation services? VIRGINIA: Aldie, Alexandria, Annandale, Arlington, Ashburn, Burke, Centreville, Chantilly, Clifton, Crystal City, Dale City, Dulles, Fair Oaks, Fairfax, Fairfax Station, Falls Church, Fort Belvoir, Fredericksburg, Great Falls, Herndon, Leesburg, Lincoln, Lorton, Manassas, McLean, Oakton, Prince William, Purcellville, Reston, Spotsylvania, Springfield, Stafford, Sterling, Tysons Corner, Vienna, Woodbridge.